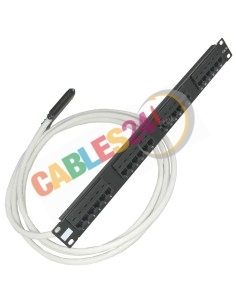 Shop Online Cables24 large stock of solutions to Telco RJ21 panel. > Telco>Solutions to Telco RJ21 panel. 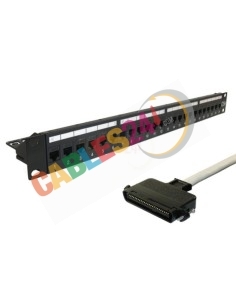 Shop Online Cables24 have a large stock sale Telco RJ21 cable solutions to panel 19-inch rack. Variety of lengths and termination of straight or angled connector. 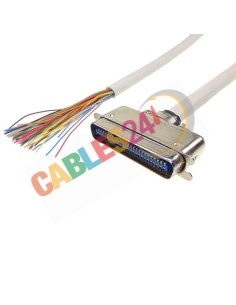 Can not find the end with the connector cable you want or need to meters, please contact us and you can buy it, we are manufacturers. 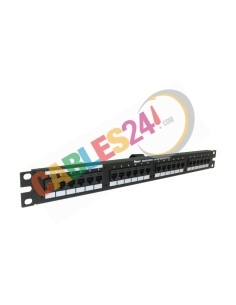 Solutions to Telco RJ21 panel. There are 12 products. 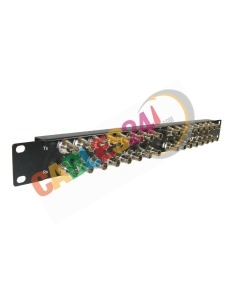 Telco RJ21 Cable to RJ45 PatchPanel VG320 with RJ21 end Choose length Add as many units need To buy press "Add to Cart"
Telco RJ21 Cable to RJ45 PatchPanel VG 310 with RJ21 end Choose length Add as many units need To buy press "Add to Cart"
Telco RJ21 Cable to RJ45 PatchPanel VG 224 with RJ21 end Choose length Add as many units need To buy press "Add to Cart"
Telco RJ21 Cable to RJ45 PatchPanel 19" 1U 24 ports RJ-45 signs 4 y 5 with RJ21 end Choose length Add as many units need To buy press "Add to Cart"
Telco RJ21 Cable to RJ45 PatchPanel 19" 1U 24 ports RJ-45 signs 4 y 5 with RJ21 180 degrees endChoose length Add as many units need To buy press "Add to Cart"
Telco RJ21 Cable to RJ45 PatchPanel VG 350 with RJ21 end Choose length Add as many units need To buy press "Add to Cart"
Telco 50 Cable to open end for Grandstream GXW4216, GXW4232, GXW4224, GXW4248Riser category 3 communications cable24 AWG Solid bare copper Choose length Add as many units need To buy press "Add to Cart"
Telco RJ21 Cable to 24 x RJ45 Panel for Grandstream GXW4216, GXW4232, GXW4224 and GXW4248 Choose length Add as many units need To buy press "Add to Cart"
Telco RJ21 Cable to RJ45 PatchPanel for DSLAM Zyxel IES-612-51 Series with RJ21 end.12 USER ports12 Central Office (CO) ports Choose length Add as many units need To buy press "Add to Cart"
Telco RJ21 Cable to RJ45 PatchPanel 8FXS+8BRI P/N: JPM2194A with RJ21 end Choose length Add as many units need To buy press "Add to Cart"
24-port RJ45-to-RJ21 flat voice patch panel in black has 24 RJ45 ports wired to one RJ21 telco connector, (1 RU).